I have a special guest on the podcast today that you are really going to learn a lot from! 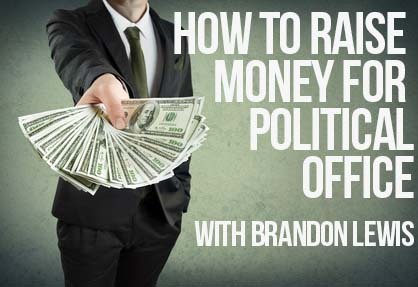 Brandon Lewis, author of the best selling book How to Raise Money for Political Office, is going to teach us the basic steps to raising the money that you really need to win your race for local office. Follow his simple program, and I know you will be able raise your dream budget! I am really excited to have Brandon on the podcast today as we begin to talk about one of the most important areas for succeeding in a political campaign. Without enough money, your political campaign will struggle if not fail unnecessarily. Make sure to take the time to learn about fundraising so you have the best chance at winning your race for local office! Brandon Lewis is the author of the book How to Raise Money for Political Office which is ranked number one on Amazon.com in its niche and founder and president of Campaign Treasurer™. Lewis’ advice can be found in the pages Campaigns & Elections magazine and he travels nationally to speak and teach on the subject of campaign fundraising. 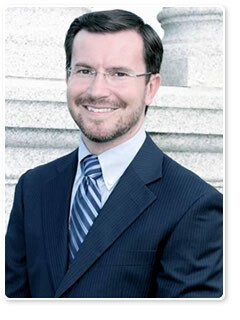 Lewis has held the role of Finance Coordinator, Finance Director, General Consultant, and/or Campaign Manager in U.S. Senate, U.S. House, and state and local campaigns. His non-profit experience ranges from working for a national medical non-profit coordinating grassroots fundraising to the multi-million dollar capital campaign front for a major educational institution. Educational accomplishments include an undergraduate degree in marketing and a master’s degree in business administration. His entrepreneurial interests in business led him to build up a non-political service-based enterprise with over 20 employees and $1 Million in sales while simultaneously working with candidates seeking office. He sold this concern in early 2013 to focus full-time on training and equipping individuals and organizations in the art of political fundraising. Lewis lives with his wife Kristin and daughter Silvia in Chattanooga, TN. He is chairman of the deacons and treasurer at River City Church and spends his leisure time reading, cross-training, and enjoying the company of friends. This entry was posted in Podcasts and tagged political fundraising, raise money, running for local office. Bookmark the permalink.